PPPoker is a playmoney app available on PC, iOS and Android. The application is widely used in Southeast Asia to host private games especially in Asia, America and India. Its main appeal comes from the fact that PPPoker avoids local regulation and offers “a home game experience” via mobile device or PC. The games run in PPPoker Chips with value depending on the rules of each private club. How to download PPPOKER APP? Start playing on PPPoker is pretty easy. The first step you need to take is going to http://www.pppoker.net/#/ and download the application. How to create an account on PPPOKER? Follow the steps in the below images to “Register”, “Login” and “Join a Club”. Access to a real money poker club is only possible via a trusted agent like us (Somuchpoker is the 1st poker media group in Asia). Click the link below to review our PPPoker Club list and find Club IDs. We can give access to all of the clubs in the list. 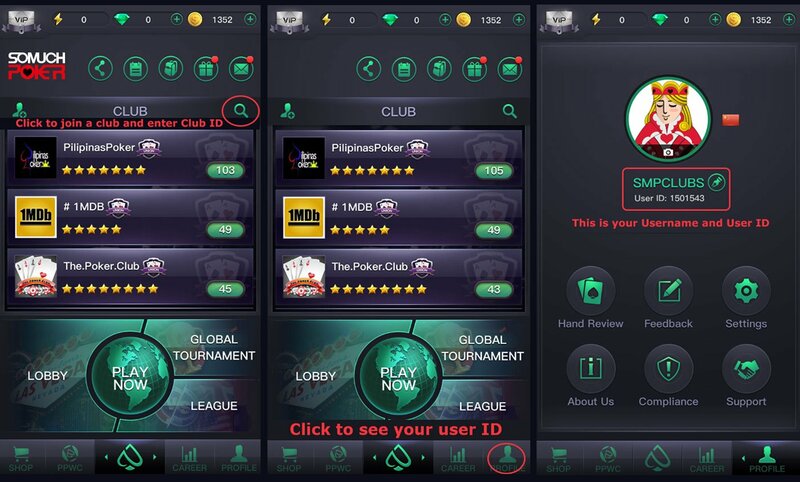 How to send an application to a PPPoker Club? “Club IDs” are listed for each club as well as other useful information. 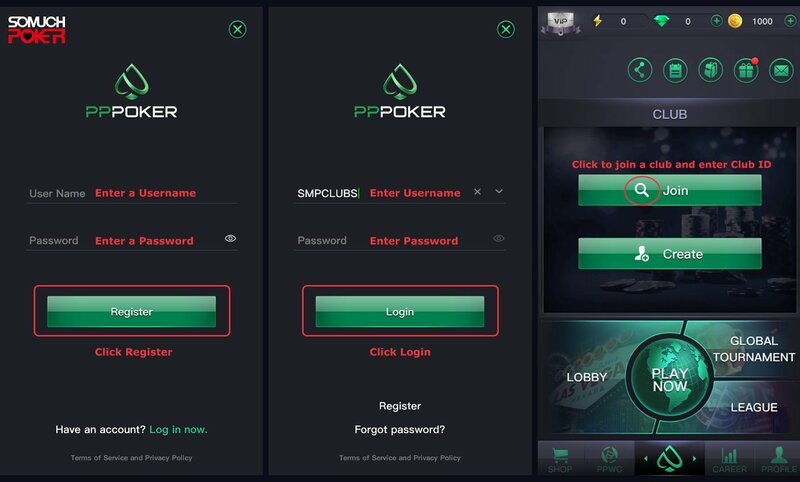 After installing the application, registering for an account on PPPoker and joining a club, please contact us on Skype, Whatsapp or Telegram to provide us your PPPoker “User-ID”. We will then proceed to request the club to accept you! How to play several tables on PPPoker? Are you interested in creating more User-IDs on PPPoker to multi-table? That is possible! The windows PPPoker application allows you to open the app 3 times. This means that you can launch the application 3 times and login with 3 different user accounts. Create account from another device. PPPoker allows you to only create 1 user per device. Interested in playing even more tables? This is also possible! Via an emulator you are able to launch the PPPoker application even more than three times, so you could even play on 4+ tables. Please contact us for guidance/questions on how to set up the right emulator for PPPoker. Somuchpoker guarantees your bankrolls. There’s no minimum deposit and we will guarantee your roll! We can offer access to soft clubs on PPPoker. Before starting, let us know about the games you are playing so that we can recommend the best Clubs. Somuchpoker will also actively update our club offerings to ensure access to best games AND deals! Below you can find our PPPoker club list. Try PPPoker via a trusted agent. We can offer access to soft clubs on PPPoker. Before starting, let us know about the games you are playing so that we can recommend the best Clubs. Texas Hold’Em, Pot Limit Omaha, MTTs, SNGs and OFC are available to play across all stakes. Games are very soft compared to international standards. Action may vary depending on games/stakes. Somuchpoker will also actively update our club offerings to ensure access to best games AND deals!